Proxy advisors are playing an increasingly influential role in corporate governance, by providing investors with guidance on how to vote in director elections or for a manager- or shareholder-sponsored proposal (e.g. on corporate social responsibility or payout policy). Their influence is growing, in part, due to the rapid rise in index funds – since they hold shares in very many companies and may not have the resources to examine the proposals of each company in detail, index funds benefit from proxy advice, although they may not blindly follow it. As a result of their increasing influence, and potential conflicts of interest (blogged about here), the EU Shareholder Rights Directive and the US Proxy Advisory Firm Reform Act recommend greater transparency for proxy advisors. These reforms are based on the assumption that proxy advisors have a substantial influence on voting outcomes. However, actually proving this influence is difficult. 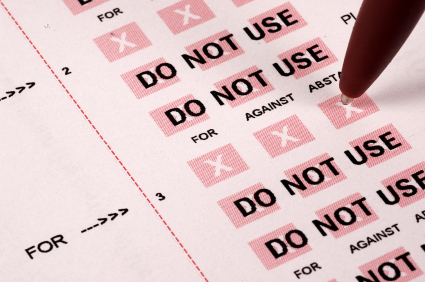 If a proxy advisor recommends voting against proposal A, and proposal A is indeed defeated, it might not be that the proxy advisor is responsible for the defeat. 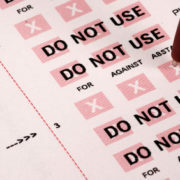 Instead, it may be that the proposal is inherently low-quality, and this jointly caused the proxy advisor to recommend against it, and shareholders to vote against it – indeed, the proposal’s low quality would have led shareholders to vote against it anyway, even without the proxy advisor’s recommendation. In slightly more technical terms, a correlation between proxy advisor recommendations and vote outcomes would not imply causation from the former to the latter. Instead, there could be an omitted variable, proposal quality, which jointly explains both. ISS uses a cutoff (based on 1 and 3 year Total Shareholder Return (“TSR”) to perform an initial screen and only undertakes a deeper analysis for firms below the cutoff. (The authors are not saying whether ISS is right to use the cutoff rule, only that they do use the cutoff rule). Now, of course, whether your TSR is below or above the cutoff (= industry median) could be correlated with proposal quality – very poorly performing firms are likely to attract good proposals to improve executive incentives and fix the poor performance. So, Nadya and Yao compare firms which are just below the cutoff to those that are just above, i.e. in the 49th percentile of TSR to those in the 51st percentile of TSR. Whether you’re just below or just above is essentially random and uncorrelated with proposal quality (a good quality proposal is likely to be triggered by TSR falling from the 51st percentile to the 15th percentile, not the 49th percentile). They show that this randomness “exogenously” shocks the ISS recommendation and use this to causally identify the effect of ISS recommendations on the eventual vote outcome. Specifically, from 2010 to 2011, a negative ISS recommendation on a say-on-pay proposal leads to a 25 percentage point reduction in say-on-pay voting support. This paper shows that proxy advisors have a substantial influence on voting outcomes. The authors do not claim that such influence is either good or bad. Hypothetically, it could be either – the influence is good if proxy advisors have expert advice that guides shareholders to make more informed decisions, or bad if they use one-size-fits-all recommendations that are not tailored to the specific firm, or affected by conflicts of interest. In both cases, the paper shows that proxy advisors are very important for corporate governance, and so the scrutiny that some regulators are placing on them is justified.